Dysestuff is a daring dream !. Commercially it entails commitment to quality, customer satisfaction and technical excellence. 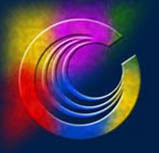 With these product sense we, Chromatic India Limited, research tasks that are universal to the colour community. This colour flag takes under its flapping wings the gamut of human choice. Sharing our country's Traditional fitnesse in creating colours, we a group of motivated technocrats, founded a company to manufacture and export blue dyes two decades ago.